For over 30 years Ron Heilmann had offered a flexible and comprehensive list of services. By assessing a client’s needs, he provides tailored counseling and mediation services for individuals, couples, and families. Therapy is a broad term that covers many different counseling options. It is appropriate for anyone who is distressed by difficult events in their lives, or experiencing negative feelings. After initial consultation, a treatment plan will be tailored to a client’s specific situation and needs. Mediation is a productive and healthy way of resolving conflicts between two or more parties with tangible results. It can help couples resolve marital issues, support parents struggling to raise a family, or offer guidance to an individual coping with a life transition, the most significant of which is dissolving a marriage on mutually acceptable and amicable terms. Collaborative Law is a legal process enabling couples who have decided to separate or end their marriage to work with a coordinated group of family professionals to meet the specific needs of both parties without the threat of litigation. Ron Heilmann received his Master’s Degree in Social Work from Indiana University in 1970. 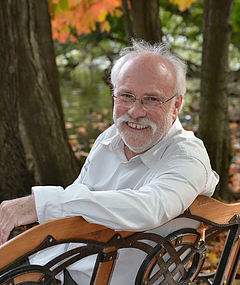 He has been working as a Clinical Social Worker with a specialty in Marriage and Family Therapy since 1981. For 11 years he was part of the staff at the Onondaga Pastoral Counseling Center and since 1983 he has been in private practice working out of his office at home on Valley Drive in Syracuse, New York. Ron works with individuals, couples and families. Mr. Heilmann is also the creator and Director of the Mediation Network of Syracuse, an organization which provides mediation services for divorcing partners, families, and family businesses. He has been an adjunct lecturer at Syracuse University, teaching divorce and family mediation. Ron is a Licensed Clinical Social Worker and Licensed Marriage and Family Therapist by the State of New York Department of Education, a Diplomat in Clinical Social Work, Fellow of the Society for Clinical Social Work Psychotherapists, Clinical Member of the Association for Marriage and Family Therapy, Licensed Senior Practitioner Member and approved consultant of the Association For Conflict Resolution; and an Accredited Member of the New York State Council on Divorce Mediation. He is a Board Certified Diplomat by the American Board of Examiners in Clinical Social Work, Inc. He is a Diplomat in the National Association of Social Workers.